Animals can sense when one of their young isn’t likely to survive. What happens next is sad, but it is how Mother Nature operates. Many times the sick baby will be left alone to die, or the mother will kill it. Survival of the fittest. 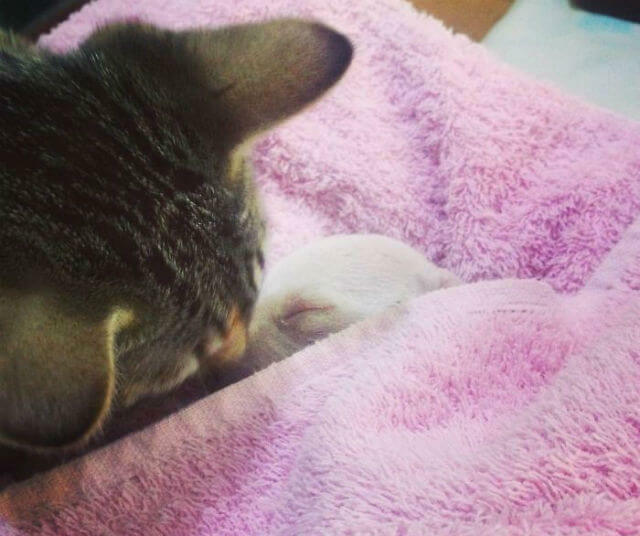 When a sick baby is born to a litter of puppies or kittens, and there is a human around if the mother rejects the baby, humans step in and make sure the little one has what it needs and gets a decent chance at survival. 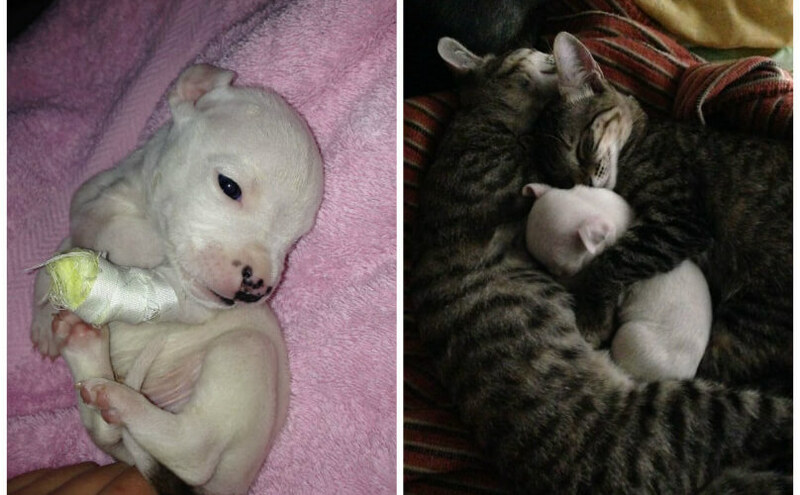 Nicolas, a pit bull puppy, was rejected by his mother when he was born – and so were the rest of puppies in the litter. 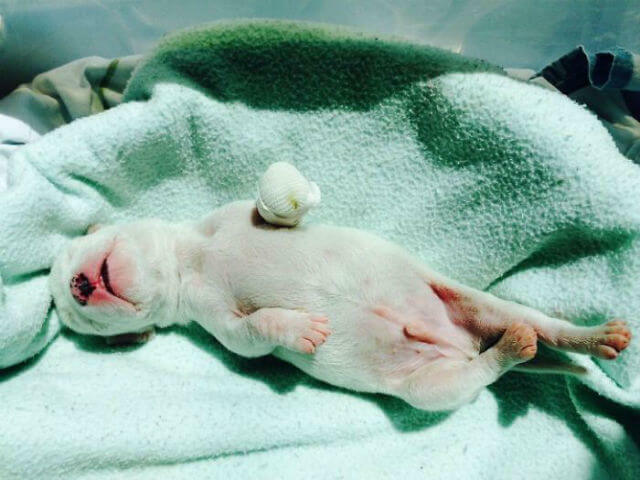 Nicolas was born in a litter of eight puppies, and he was the smallest pup! 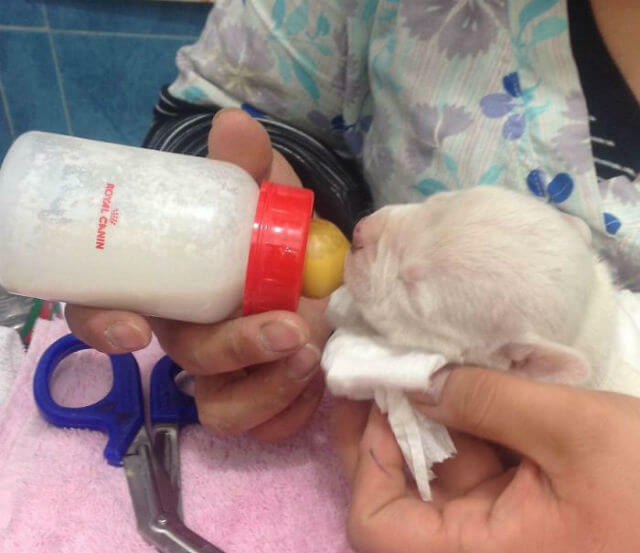 The mother ate three puppies and no one was quite sure why. The mother dog bit off one of Nicolas’ paws before long. Some kind humans stepped in and took Nicolas to get the help he needed. 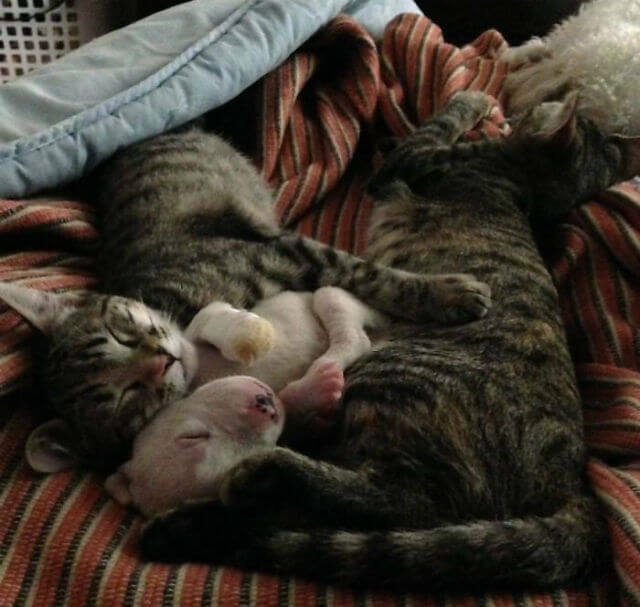 At his foster home, Nicolas had some unusual foster parents – two cats! 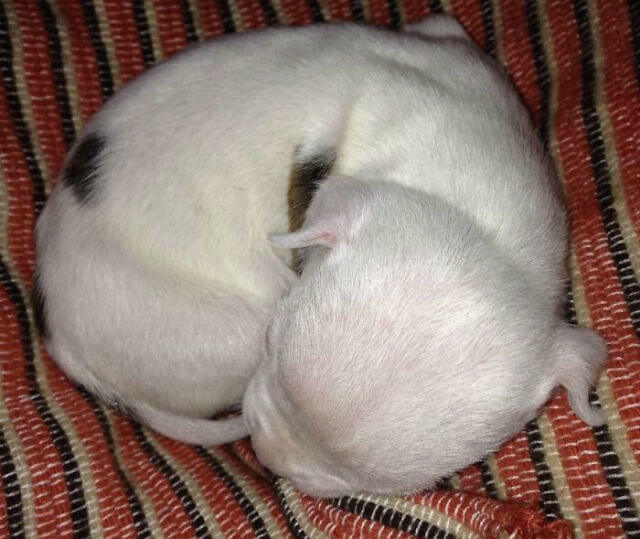 Just look at how safe and secure he is snuggled up in between his new family! There are also five other dogs that live in Nicolas’ new home! 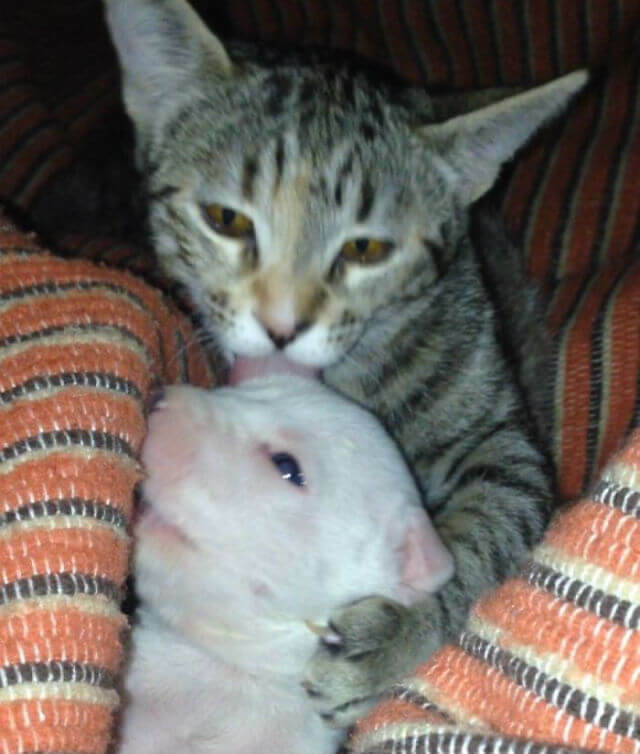 He has plenty of love and companionship! Nicolas does have part of one paw missing so things won’t be easy – but at least Nicolas has a chance!